Universal Flu Vaccines: What Are the Chances? With each flu season comes a new flu vaccine, but could this cycle be broken? According to a recent article in Scientific American, scientists are moving closer to a universal flu vaccine. Researchers at the University of Southern California are departing from the traditional vaccine, which relies on a cocktail consisting of several strains of killed virus. “The new vaccine, by contrast, uses a live virus, so it elicits both an antibody response and T cell immunity—at least in lab ferrets and mice,” the article notes. 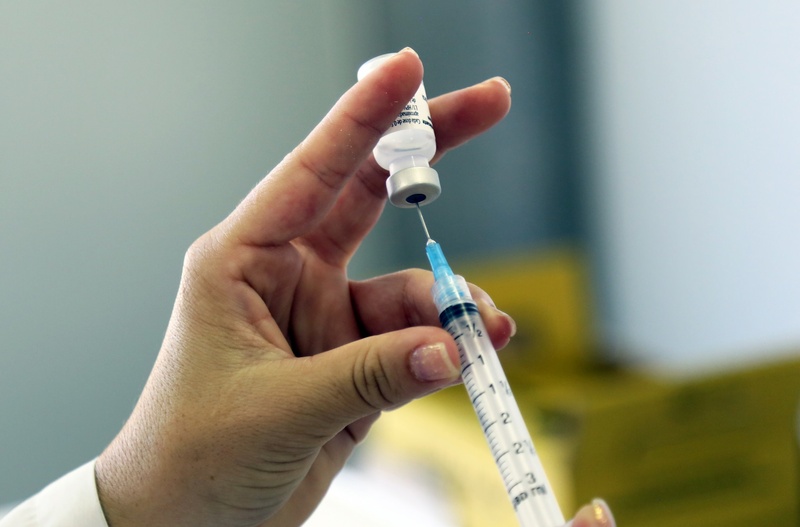 Analyst Melissa Elder in her recent report “The Global Influenza Market” says that experts suggest a universal vaccine could be available on the market within the next five years. Below is an excerpt from the report where she discusses the positive impact a universal flu vaccine could have on this market. Looking for more information on the global influenza market? Download the report overview. Flu vaccine production has evolved but there is still no universal vaccine, and experts suggest that such a universal vaccine will not be available until at least 2020. Unlike other vaccines, such as the one for polio, a flu vaccine is given every year because of virus strains and mutations. This is a costly and time-consuming effort because, not only do countries need to produce or purchase vaccines yearly, scientists have to determine the right vaccine to create for the upcoming flu season. Researchers may be able to develop a universal influenza vaccine based on the body’s immune response to certain pandemic flu strains. Testing the blood of people who have had certain flu strains can give us clues as to how the body responds to these virus strains. Some patients who have been exposed to specific pandemic flu strains in the past exhibited more natural neutralizing antibodies than others who were tested. If a broad natural response can be created, much like a natural response, a universal vaccine may be possible. Researchers are also focused on developing vaccines that target common components of influenza viruses, such as the stalk (also called stem) of the virus or the proteins inside viruses. The use of a broad vaccine may not be as effective alone, but it could be used in combination with other vaccines or to help immunocompromised patients. Influenza, also known as the flu, affects the upper respiratory tract and often the lungs. The infection typically lasts approximately one week, but without the use of medications the virus can continue to cause symptoms for two weeks or more. The young and the elderly are considered to be at a higher risk for both initial infection and secondary infections, mainly due to the vulnerable states of their immune systems. People with chronic diseases, such as cancer and HIV, are also at increased risk and contracting influenza can even be deadly. Worldwide seasonal flu epidemics can total up to 15% of the population (upper-respiratory infection), of which around 3 million to 5 million cases are classified as severe. In December 2017, the World Health Organization (WHO) updated its earlier estimates to as many as 650,000 influenza-related deaths annually, with a range of 290,000 to 650,000 deaths from respiratory complications. This is up from the previous estimate of 500,000 deaths and a range of between 250,000 and 500,000 cases. The unpredictability of each influenza season can result in these figures ranging from the low to high end. In industrialized countries, most deaths occur in the over 65 years age group. The tropical regions of the world are the exception to seasonal outbreaks; they have a higher case-fatality ratio and people are infected more easily year-round. In the U.S. alone, annual influenza rates total about 5% to 20% of the population, hospitalizes around 200,000 people, and causes an average of 36,000 deaths. General symptoms include muscle aches, runny nose, fever, tiredness, stomach symptoms, dry cough, sore throat, diarrhea, vomiting and nausea. Influenza is spread through person-to-person contact, or by a person touching an infected object. The most typical method of transmission is by moisture droplets being spread by coughing and sneezing. This BCC Research report is designed to be a helpful business tool that provides a thorough evaluation of the market for influenza vaccines, therapeutics and diagnostics. The geographic scope of this study is global, with emphasis on U.S. and European data. The report identifies markets in general segments: Vaccines, Therapeutics and Diagnostics. Hungry for more key insights on the influenza market? Download the free report overview!